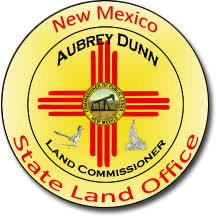 State Land Commissioner Aubrey Dunn is asking Gov. Susana Martinez and Energy, Minerals and Natural Resources Cabinet Secretary Ken McQueen to stop misappropriating revenue from the Oil and Gas Reclamation Fund and instead use the money for its intended purpose, which includes plugging abandoned oil and gas wells located on State Trust Lands. In a letter delivered Friday to Martinez and McQueen, Dunn urged the Oil Conservation Division (OCD) of the EMNRD to cease issuing new drilling permits until such time that it has adopted a five-year plan for plugging and reclaiming the estimated 600 abandoned unplugged oil and gas wells on State Trust Lands. The Oil and Gas Reclamation Fund was established in 1977 and authorizes the OCD to make expenditures for surveying, plugging, and restoring and remediating abandoned well sites and associated production facilities. In Fiscal Year 2017, the OCD used the Oil and Gas Reclamation Fund to plug only one abandoned well on State Trust Lands. According to OCD regulations, an operator must properly plug and abandon a well that has been continuously inactive for a year or longer. Further, the OCD is charged with enforcing an operator’s obligation to plug a dry or abandoned well in such a way as to confine the crude petroleum oil, natural gas, or water in the geological layer in which it is found and prevent it from escaping into other zones. The division is additionally charged with collecting a $50,000 cash or surety bond to secure performance of that obligation. While the State Land Office’s oil and gas lease requires the lessee to comply with applicable laws and regulations, the State Land Office is not in a position to enforce compliance with the OCD’s mandate to ensure the plugging of dry and abandoned wells, particularly where there is no longer a lease in place. The division has largely failed to carry out its responsibility, the land office says, and has instead expended significant amounts of the Oil and Gas Reclamation Fund for other purposes. As an example, legislation has been introduced which would divert $2 million annually of Oil and Gas Reclamation Fund money to remediate the Carlsbad brine well.